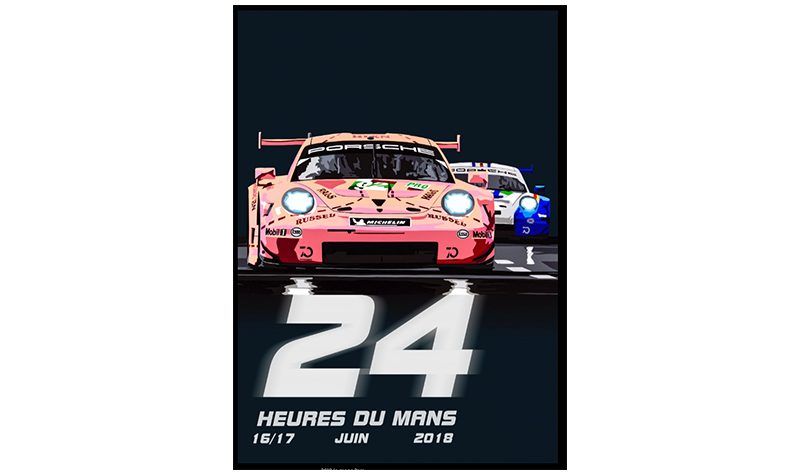 Somehow the 2018 retro Porsche Pink Pig 911 from LeMans is hotter than the 1971 Porsche 917/20 original! Following up on our first article, even more art and models have followed. 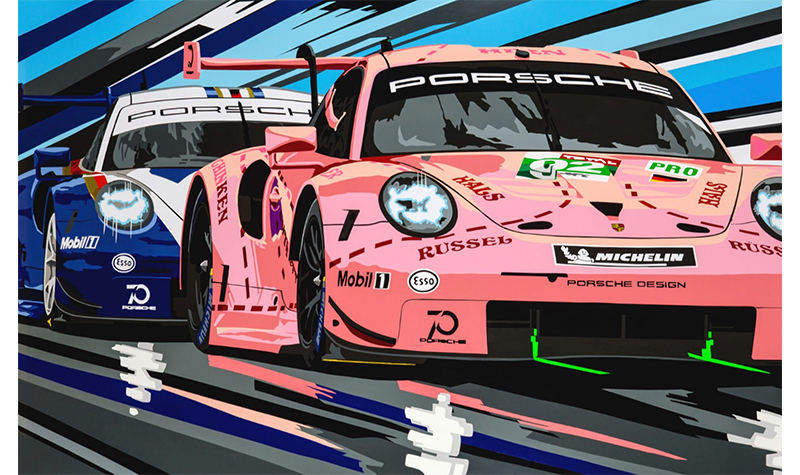 Two of our past art champs Joel Clark and Last Corner show their considerable skills again and are celebrating the Pink Pig too. From Joel Clark comes 5 new artworks. They all highlight the class-winning retro Porsche 911 Pink Pig and the sister “Rothman’s” car (left). Essentially two illustrations used a few different ways, they are still terrific. Choose poster or landscape views. What I particularly appreciate is that Clark has not forgotten that the other works Manthey-entered Porsche 911 at LeMans was retro and performed superbly also. The Pig won its class and the Rothman’s car was not far behind in second. 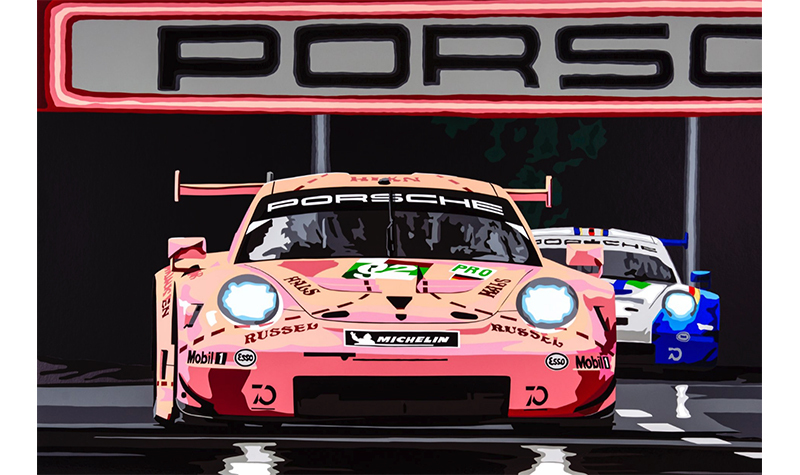 I would think that most collectors and especially Porsche fans probably like both of the liveries. Having both on the same artwork is a major plus. You also get to choose the way you’d like to see the two cars on your wall. Nice. From French artist Alex Pieussergues comes 4 more Pink Pig art pieces. Trading under the name Last Corner, he’s primarily worked with Formula 1 cars to this point. 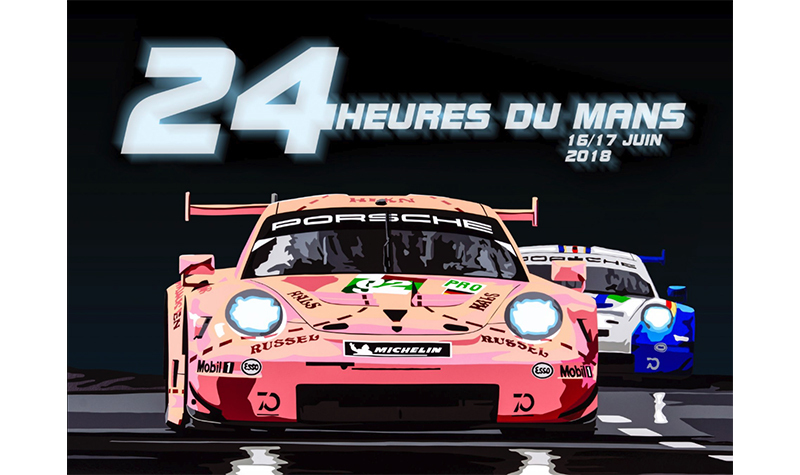 The Porsche 911 retro cars from the 2018 LeMans race were very compelling subjects from many angles. 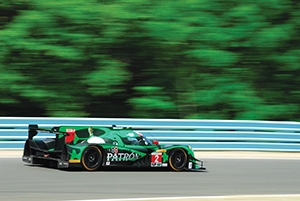 So Pieussergues jumped into the fray with some different angles on how to portray the cars. Both Night (top) and Day versions are portrayed along with a diagram of the fabled French 24 Hour race track. The 4 View version is especially great if you are building a model of the car. Decal placement will be rather easy to get right. 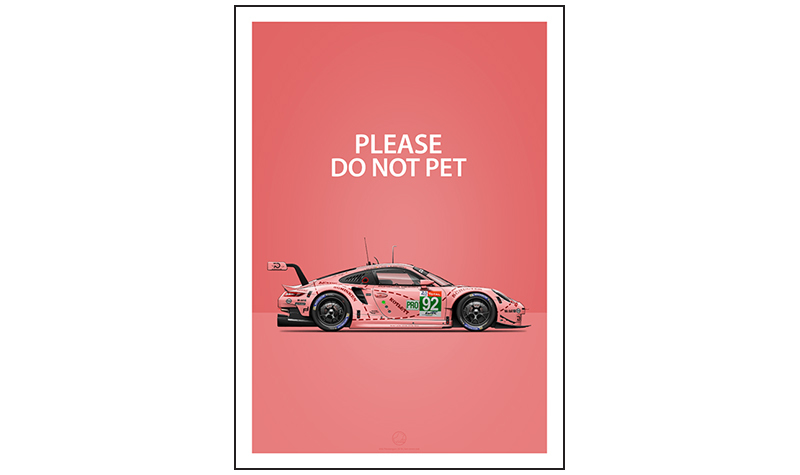 Lastly, Pieussergues goes all comic with a “Please Do Not Pet” poster (right), all bright pink as the day the livery was born. I like that. Racing is too straightforward at times. Spark has issued both 1/12 and 1/18 scale versions to go along with the usual release of the 1/43 version. Check with your favorite model dealer for availability of all. Pre-orders are strongly advised for these very popular models that are guaranteed to sell out very quickly. 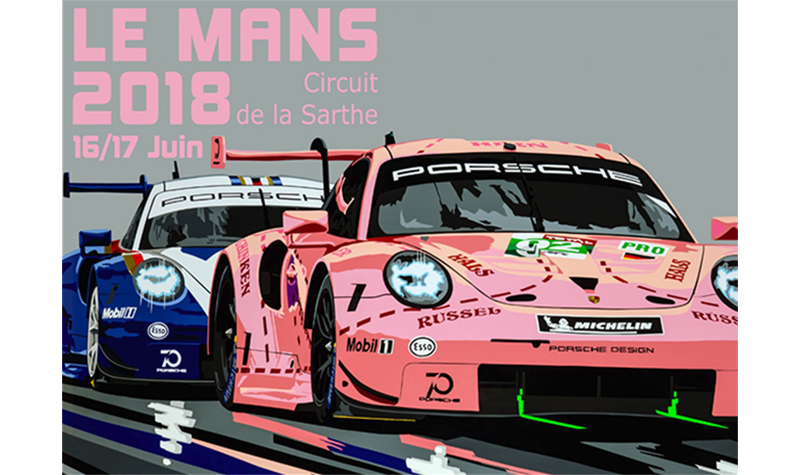 French model make JPS has issued pre-painted 1/43 kits of the retro Porsche Pink Pig and Rothman’s cars. These are pretty easy kits to assemble in that painting the model can be the most time-consuming part of building the model. You need to do the detail painting, decal it and assemble, not necessarily in that order. In the case of the Rothman’s car, it’s a two-tone paint scheme. Having it pre-painted will save you from major agita with the masking. One note here: I’ve found that JPS resin is quite brittle while assembling the Jeff Koons BMW art car that they issued. Take extreme care while trimming parts and be sure not to use even light force on the parts. Trust me. British kit purveyors Grand Prix Models are a prime source for these kits. If you have a problem with the kits, they can get you replacement parts. 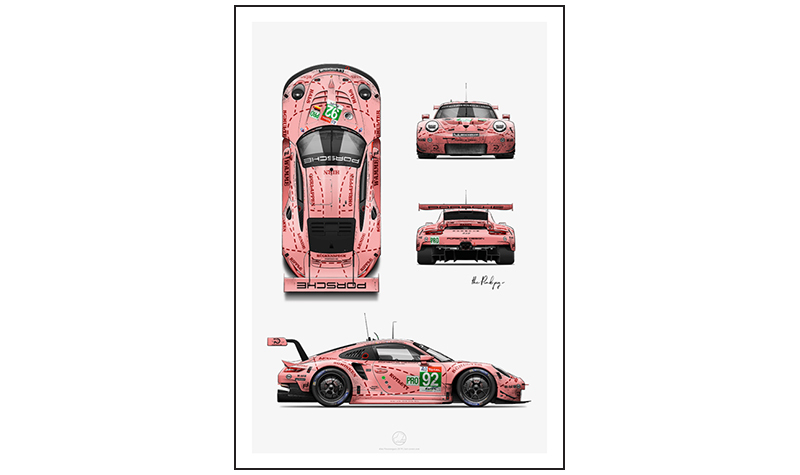 You can find Last Corner Pink Pig prints here. Joel Clark prints can be found here. Model kits can be found at Grand Prix Models.